"It was thrilling to see these sweet pups come back to life." 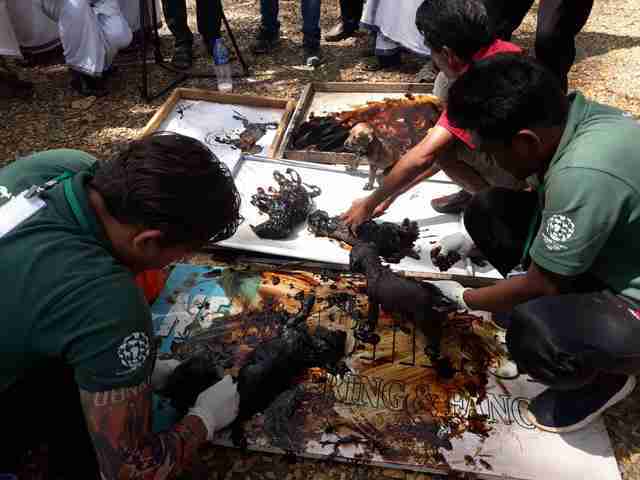 A group of puppies was huddled up on the streets of Tirur, India, in the middle of the night when suddenly a barrel collapsed on top of them, spilling tar all over the tiny pups. Unable to move and barely able to breathe through the sticky substance, the puppies whimpered and struggled until, finally, morning came and someone heard them. By that point, the puppies had likely been stuck for around eight hours. 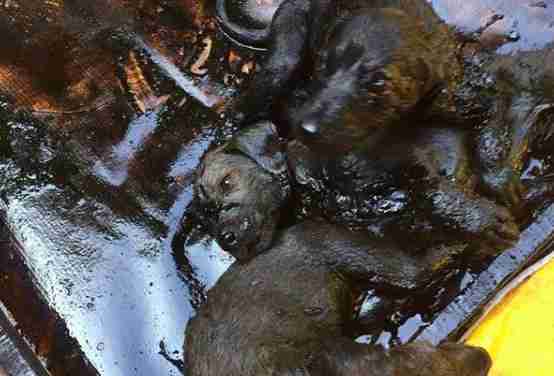 As soon as people in the area realized what had happened, they began rallying together to try and free the puppies from the toxic tar. Humane Society International (HSI) India was called to come and help, and rescuers drove two hours out to Tirur. When they arrived, they were amazed to find that all of the locals were still working hard and had yet to give up on the very stuck little puppies. 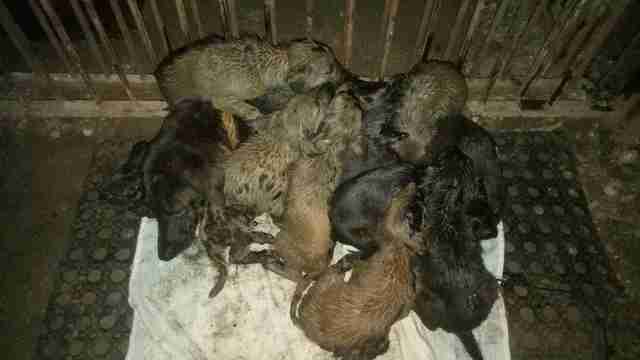 … but finally, all eight puppies were completely clean, and could at last be reunited with their worried mom. 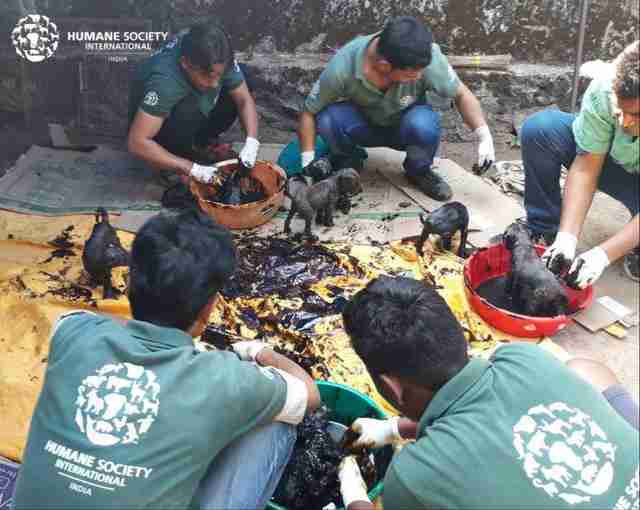 The puppies are still recovering in the care of HSI India, but are doing well so far, and everyone is so thrilled that they were found in time to save their lives. They’ll remain in the care of their rescuers for two more weeks, and after that they’ll be taken back to the town they came from, where the locals are all anxiously awaiting the chance to love and care for them. To help other animals in need, you can donate to Humane Society International India.